After working a long week, nothing starts your weekend better than a romantic night with your honey. Romance is hard to come by nowadays with such busy schedules and endless commitments, but planning this time is critical for any intimate relationship. If you're drawing a blank on what you can do with your significant other on a Friday night, there are several romantic options for spending your night together. Taking a long walk after work on a Friday night is romantic. "Cosmopolitan" magazine suggests staying in and bonding over cooking a meal together. Keep the recipe simple so that you’re not focusing on the drudgery of preparing yet another meal. Instead, pour some wine, and while your dinner is in the oven, focus on really talking to each other about what happened during your week. Having dinner and seeing the latest movie afterward will reset your romantic thermostat. This typical date that occurs at the beginning of relationships reminds you and your partner of the magic and chemistry that happens when a couple first gets together. Where you go for dinner or what movie you see is less important than experiencing the tradition. 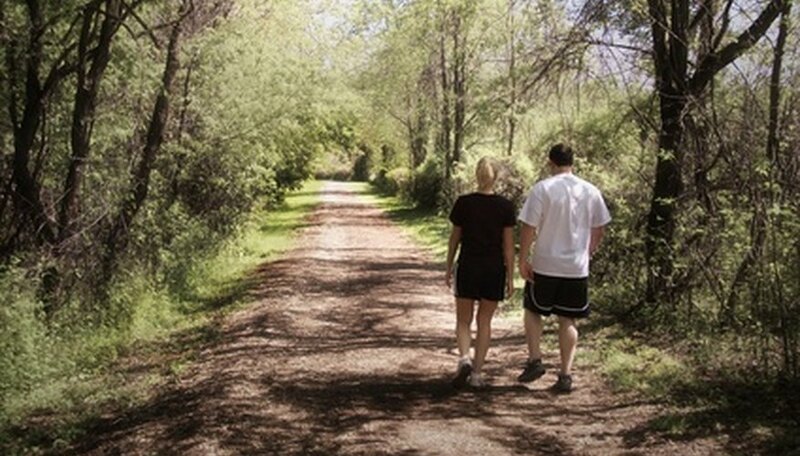 Get in a light workout by taking a long walk together after your work day. Depending on where you live, walk around your neighborhood or take a short hike at a local park. Talking and sharing over a bit of exercise helps you bond as your bodies naturally release healthy endorphins while you stroll along. If you haven’t put on a formal outfit since your high school prom or your wedding, putting in the extra effort of getting dressed up for an evening is very romantic. Plan an elaborate evening several weeks in advance so that you can buy a special outfit and allow plenty of time to get ready. To further the adventure and fantasy for the evening, research a fancy restaurant for dinner that has a cuisine with which you and your partner are both unfamiliar. Sometimes the best romantic medicine you can give a relationship is just chilling out. Wash off your makeup, put on some sweats, order a pizza and put on a favorite DVD. If you have kids, send them to the grandparents or your neighbor's house for the night. Rekindle your romance by relaxing on the sofa together and catching up on the details of your life over a snuggle. What to Fix for a Romantic Dinner? Scott, Gina. "Romantic Things to Do on a Friday Night." Dating Tips - Match.com, https://datingtips.match.com/romantic-things-friday-night-13443539.html. Accessed 19 April 2019.